Here's a list of her receipts. The entertainment industry came to a stand still earlier this week when news broke that model and actress Kim Porter passed away. Porter died last Thursday after reportedly battling with pneumonia for several weeks, but authorities are still trying to piece together what exactly happened that led to her death. As an outpouring wave of support has been shown from celebs, family, friends and the internet-at-large, many were seemingly unaware of just how influential Porter has been to the industry these past few decades. 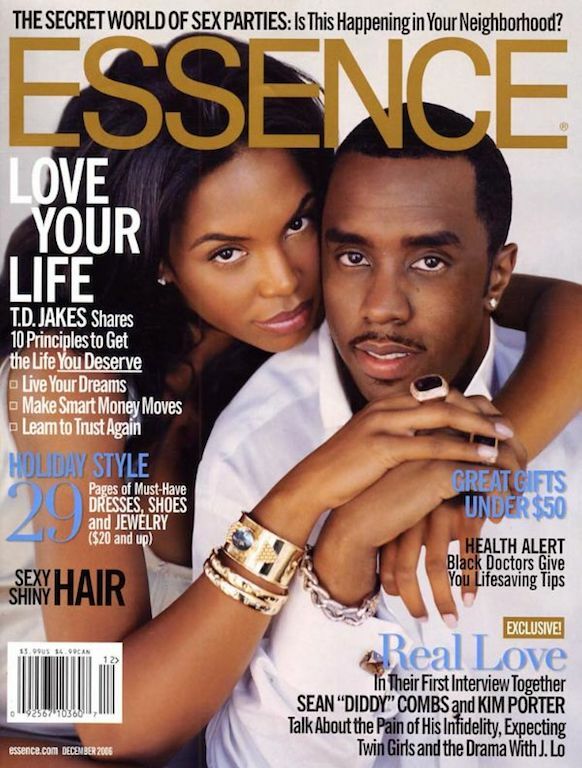 For those who thought she was just the former girlfriend, and mother to Diddy’s kids — think again. Her receipts extend way beyond her relationship with the music mogul, and her grace, humility and light have touched millions. If you’re unfamiliar with Porter, here’s a list of her receipts over the past few decades. She began her career as a model. Born in Columbus, Georgia in 1971, Porter began her rise to prominence as a model after she moved to Atlanta in 1988 to pursue a modeling career. She ultimately appeared on the covers of ESSENCE and Runway magazines. Porter even made her way to the big (and small) screens. The actress appeared on the TV series Law & Order and Wicked Wicked Game in 2006 and 200 respectively, and in the films The Brothers and Mama I Want to Sing in 2011, according to Variety. Porter dated Al B. Sure in the early 1990s and had one son together, Quincy Brown. In the wake of having his firstborn child, Al B. decided to surprise Porter with a record he wrote titled “Forever My Lady.” He commissioned the legendary R&B group Jodeci to record the track on its debut album with the same name, released in May 1991. Al posted a throwback black-and-white photo of the couple, where he referenced the song in the caption, shortly after her passing. She helped discover Janelle Monáe. Porter was well-liked in the music industry, especially the hip-hop community. Often noted for her “kindness” and her “grace,” Porter also knew a thing or two when it came to music. In an Instagram post, Janelle Monáe shared how Porter even shaped her career. “When I moved to ATL, I was passionate about being an artist but had not gained much exposure,” Monáe wrote. “If it had not been for you and the Three Brown Girls (Your company w/ Nicole Johnson & Eboni Elektra) belief in me & inviting me out to do your open mic night ‘Lip Service’ at Justin’s restaurant, my career would have been on another path. She was a friend to many in the industry. It’s no secret that Porter was loved by all. A flurry of messages filled our timelines this week from celebrity friends and supporters, who were heartbroken after recalling some of the precious memories that they had spent with Porter over the years. Usher, Rihanna, Lauren London, Nene Leakes and more shared heartbreaking tributes to their friend and sister this week.